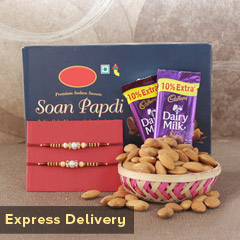 This Raksha Bandhan, make sure that you gift your brother the gift of happiness and bring about the sprint of divinity in his life. 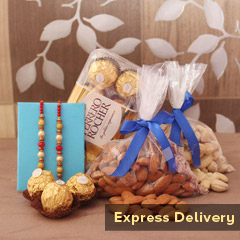 We have this complete combo of 3 Spiritual Rakhis for your three loving brothers and delightfully yummy chocolates to satiate his taste buds. 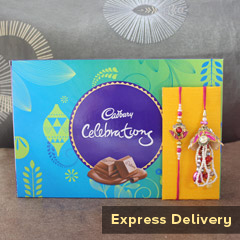 This is definitely going to make this the best ever Raksha Bandhan for your brother.